If you want to build a model railway but feel constricted and frustrated because you only have a very limited amount of space available, then this is the book for you. 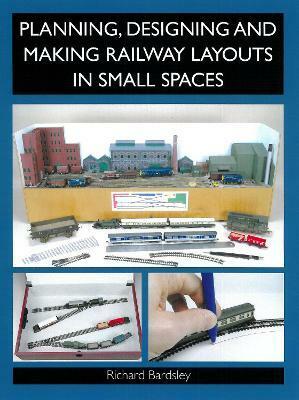 The author demonstrates that a railway modeller need never be "stuck for space," and shows the reader how to design and construct a rewarding layout in even the smallest of spaces. He emphasizes that once you have found a home for your layout, be it in a garden shed, a spare room, a bookcase or even the top of an ironing board, the same guiding principles apply. These are all fully explained in a very practical way and include the basic layout shapes, the importance of scale, standard and narrow gauges, fiddle yards, train length, curves and turnouts as well as track design elements such as head shunts, kickback sidings and run-round loops.